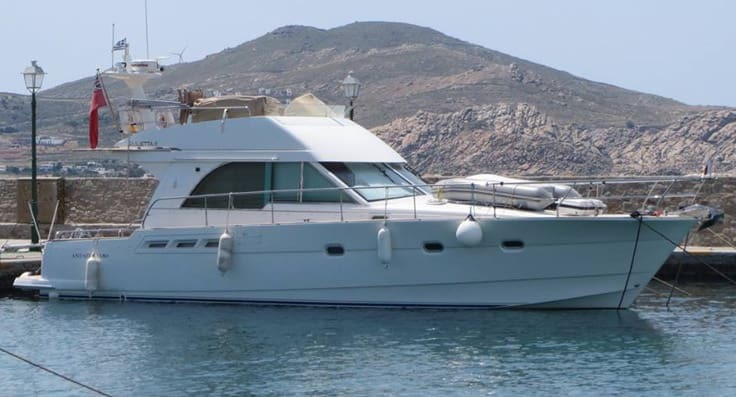 EaCharterYacht are specialists in providing luxury yacht charter in the Greek Cyclades, Peloponnese & Dodecanese Islands. 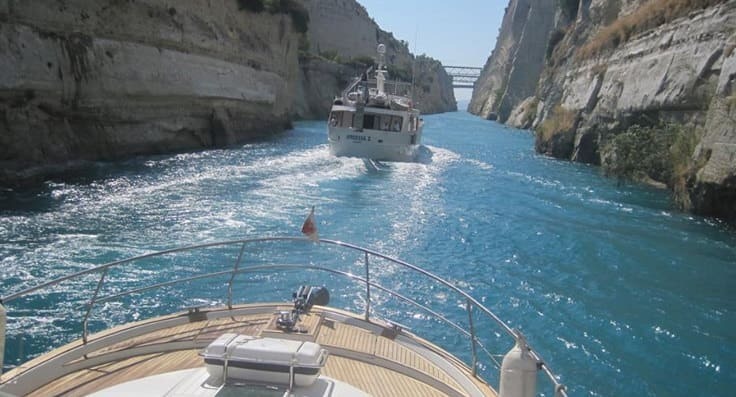 Though our charter brokers in Athens we can provide everything from a 31 foot bareboat sailing Yacht, though fully crewed and skippered motor & sailing yachts, to the ultimate luxury Super Yacht. 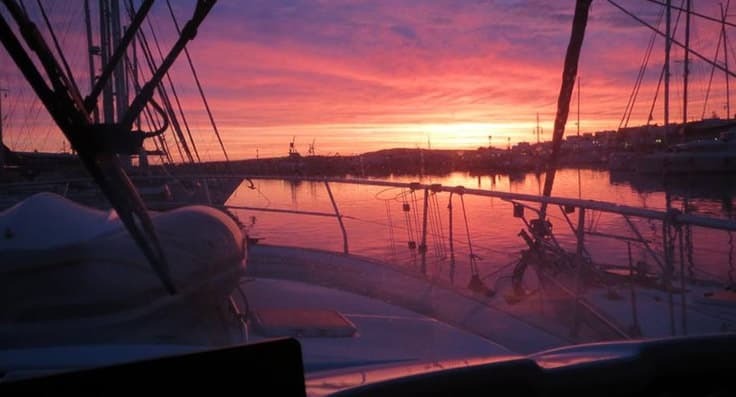 To find out more go to our main web site at www.eacharteryacht.com or complete the Quick Enquiry form by clicking here. 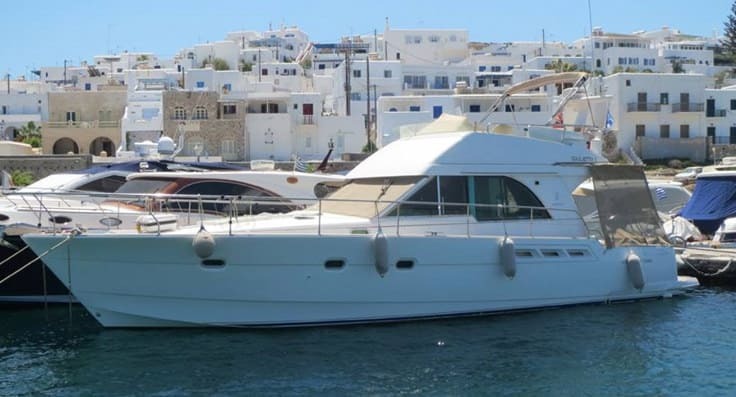 ‘Giulietta II’ is our own luxury14 metre fly-bridge, motor yacht, based in the beautiful Greek Cyclades Islands. Maintained to the highest standards, with a top specification for charter, she is only available for skippered / crewed charters. “A boat with traditional looks, but absolutely up-to-date”. 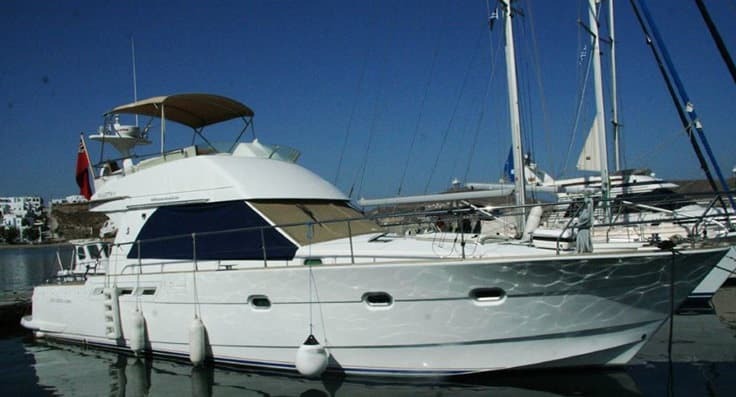 ‘Giulietta II’ is a Beneteau Antares 13.80 built in 2004. 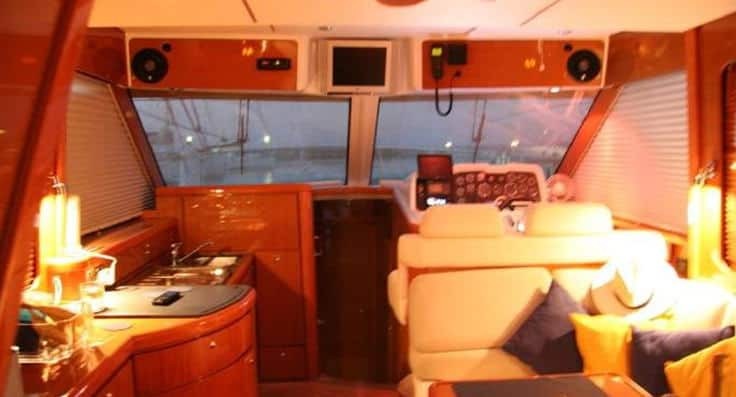 In 2010 she was fully refitted with new interior fittings, the latest Electronics, Digital Radar, Forward Looking Sonar, new safety features, new luxury bedding and a digital hi-fi system with over 650 CD’s ranging over nearly every genre. 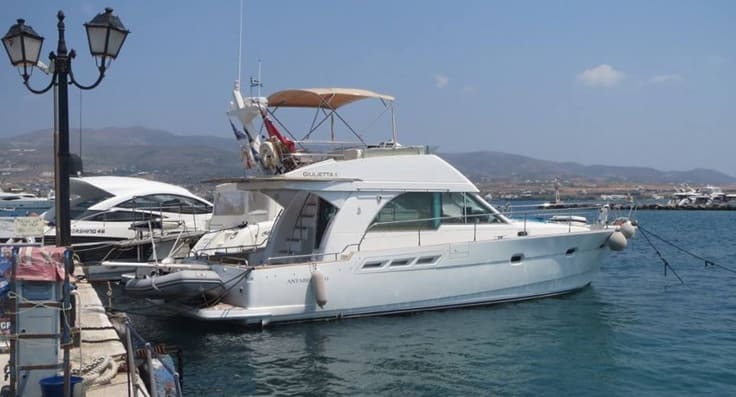 Ideal for one couple, two couples, or a family, ‘Giulietta II’ can be chartered by the day, the evening, the weekend, the week, or longer. We also provide luxury high speed Inter-island Transfers and Day Excursions for up to 11 guests. If you’re looking for a special Honeymoon Cruise, a celebration trip, or perhaps a different venue for a meeting, we can do that too. 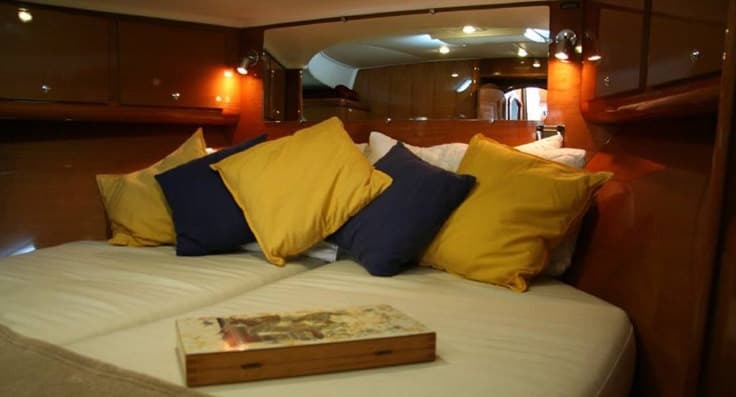 At 46 foot long (14 metres) we ca’t quite compete with the sheer ‘bling’ of a Super Yacht, but what we can give you is really friendly & cosy atmosphere and a genuine feeling that the motor yacht is all yours for the duration of your stay. That’s not to say that ‘Giulietta II’ isn’t posh and sparkling clean, because she is! But we don’t have five members of crew and an Entertainment Officer to chase you around; just lots of good humour, knowledge and some good old fashioned politeness. 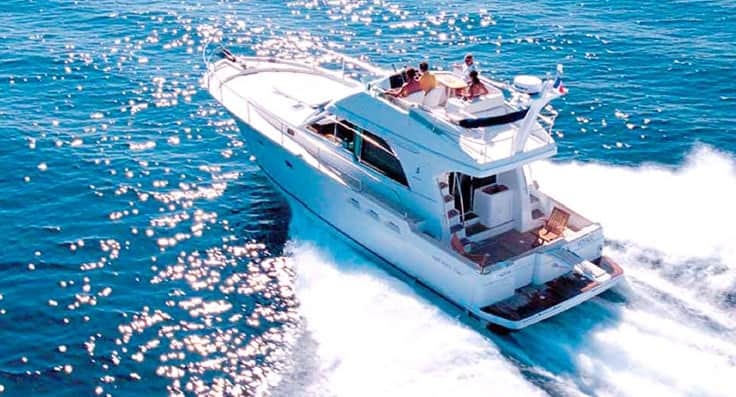 What you get, we believe, is the best of both worlds: A skippered charter on Giulietta II is the closest thing to having your own luxury Motor Yacht, with your own Captain and Crew. But unlike a big cruise ship the boat goes exactly where you want and when you want. 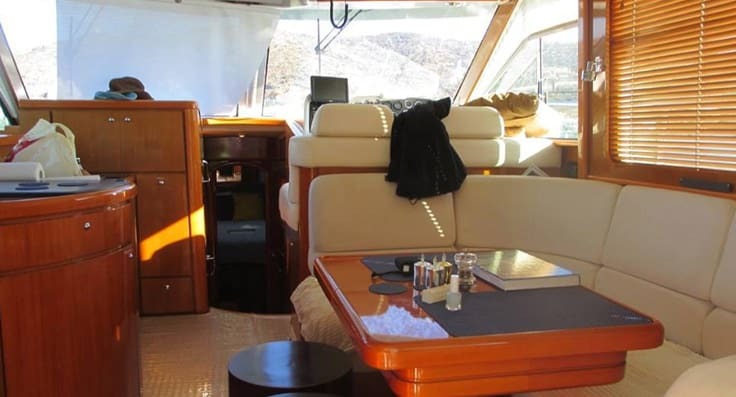 Whether that is anchored in a private bay, making a passage, holding a business meeting, making a romantic evening cruise, exploring a new coastline, or visiting a new island.